This was me 10 years ago, and the woman on the right is me a little over one year later. I was a complete sugar addict, and didn’t know how to stop. Then I had an experience that changed everything for me. A real A-Ha moment! I put all my nutritional and therapy training together, and I lost over 4 stone. And I have never looked back! The Break The Crave Programme was the result, and it has helped hundreds and hundreds of people to break free from food cravings. People who were sick and tired of being stuck in the misery of yo-yo dieting. They wanted to break out of the cycle of cravings and feel free to make their own choice over the food they eat. Take back the power over their own appetite. It’s easy to do just this, once you know how. You can take back control over sugar cravings and food urges. And I’m here to tell you that you can kick-start losing the excess weight that’s made you miserable if that is your ultimate goal too… and you will stay in control for as long as you please afterwards. Sick and tired of yo-yo dieting? Unable to keep the weight off, no matter how many times you try? Fed up of calorie- counting and feeling hungry on a diet? Frustrated with being back to ‘square one’ every time? Unable to control your sugar cravings for long? Unhappy with irresistible urges to eat? Feel like you’re constantly ‘giving in’? Are you ready to try a new way now? This is a different approach to breaking the cravings cycle, and it works and works because of a very simple, but clever principle that gets overlooked by the diet industry all the time! "I've been working with Bridgette Hamilton for 3 weeks now and in that time I've dropped a dress size on top and two dress sizes on the bottom. I'm eating for England and loving the process. She's so understanding and supportive. I really recommend this process for anyone who wants a healthier bodý." "She is really what it says on the label no silly regimes. And weight loss is assured." 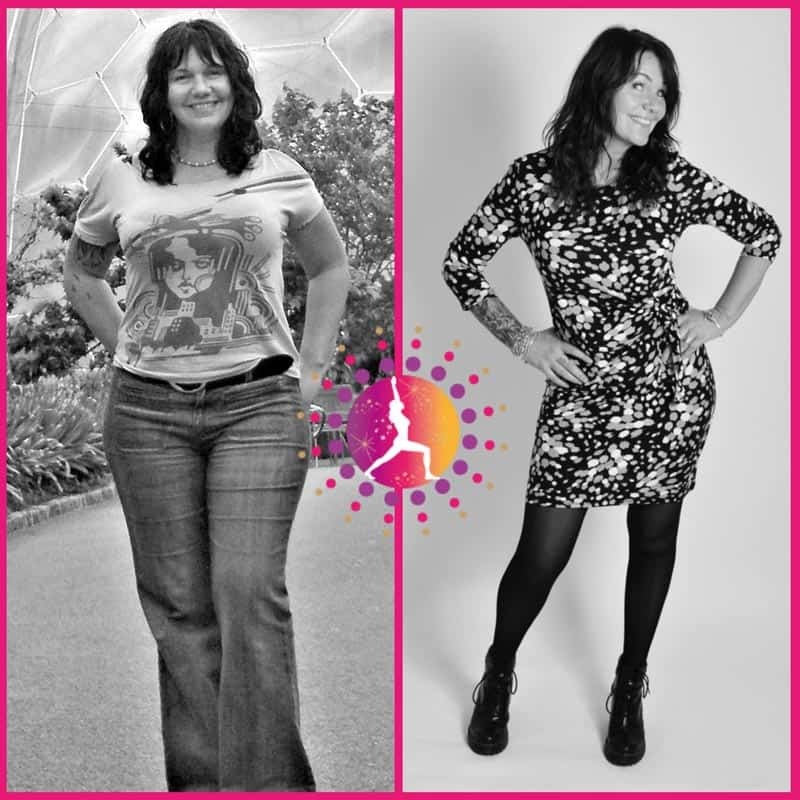 "I've done both the Kick the a sugar programme and Drop a Dress size programmes with Bridgette. If you think or know you have a sugar addiction then I can absolutely recommend these programmes to you. Bridgette really cares about the clients she works with and shares tools, techniques and hypnotherapy sessions to help everyone succeed. Highly recommended." I know how amazing it sounds that you can do this in one morning, but I’ve been running these workshops for nearly a decade. And that’s long enough now to know that it is more than possible. In fact, it has to be that way, it’s the only way to break out of that cravings cycle and find some peace in your relationship to food! This is the science of Cravings Therapy at it’s finest, 10 years in the making, and if you follow this programme, you will have everything you need to let go of cravings and move on in your life. YOU CAN LEAVE YOUR MOTIVATION AT THE DOOR… YOU WON’T BE NEEDING THAT ANY MORE! Make this year the one that makes the difference for the rest of your life! This morning will be like no other you’ve tried before! So if you’re ready to try something brand new and join us on Sunday 28th April at beautiful Strelley Hall then just click your interest below, and we’ll get your seat reserved. ***PLEASE NOTE…so you get the best of my attention we are limited to 40 places only on this morning. ***EARLY BIRD OFFER! *** Reserve your place today and you will enjoy a discount of 20% off the price! The cost will go up to the full price of £97 on the 22nd April , so it’s really worth while booking before then!